The Trump Administration touts plans for a $1 trillion investment program over the next 10 years to modernize U.S. infrastructure. It is an ambitious and much-needed proposal considering the current state of our roads, bridges, pipelines and municipal facilities. The American Society of Civil Engineers’ latest 2017 Infrastructure Report Card again gives the state of the nation’s infrastructure a D, showing little improvement from the last report four years ago. Despite some investments in recent years, the organization specifically spotlights the nation’s failure to close the investment gap with needed maintenance and improvements, which will most certainly affect our nation’s ability to compete in the global economic marketplace. To modernize our infrastructure, we’re going to need to tap into every possible resource in the public and private sectors and assess, evaluate and implement innovative ideas to deliver, maintain and operate sustainable infrastructure assets. Simply stated, we need to make better use of public-private partnerships (P3s). The P3 project delivery method is a powerful vehicle to help reverse the deterioration of our nation’s assets across a broad range of public sectors. Some people associate P3s only with toll roads. But in truth the vehicle is used for almost any infrastructure sector, including projects to build or upgrade roads, bridges, hospitals, water/wastewater systems, university campuses, convention centers, courthouses, and even streetlight networks. The P3 model creates opportunity for both the public and private sectors, while maintaining public ownership across an asset’s lifecycle. Public ownership is the key difference between a P3 and infrastructure that is fully privatized. Beyond getting public projects off the ground and completed on time and on budget, P3s also account for the full cost of operating and maintaining the project over many decades—not just the initial design and construction. Common public construction contracts typically focus on the initial construction of an infrastructure asset. Too often, the maintenance of these assets is subject to unidentified or inadequate funding, and delayed, time after time, until the asset falls into disrepair, shortening its design life and necessitating early replacement and eroding public confidence in government services. One of the key components of a P3 relates to ongoing operations and maintenance (O&M) activities that sustain assets for their full-service life. During the procurement of the project, the public owner and private partner determine the appropriate service levels and performance standards necessary for the full duration of the O&M period, often 30 to 50 years. It’s also worth noting that a P3 is not a one-size-fits-all contract – it’s an incredibly flexible model that is only limited by the public entity’s ability and willingness to explore new infrastructure delivery methods. Most importantly, P3s allow private sector investors to put skin in the game. These investors help finance a project to ensure the project is built on time and on budget. If it’s not, the government can withhold payment. That’s called risk transfer, and in a P3, it means taking away risk from the taxpayer and transferring it to the private sector. That’s just good policy. Two creative examples of the implementation of alternative project delivery come to mind which showcase the value proposition of P3s. 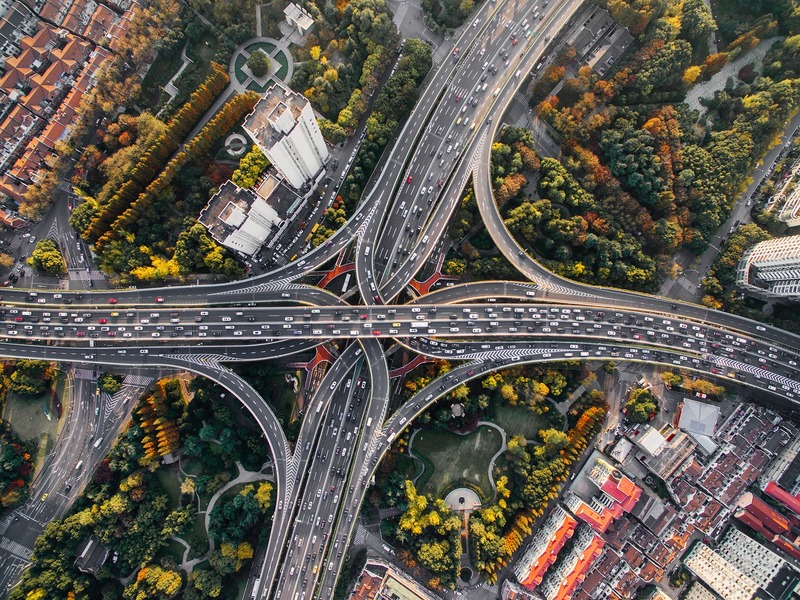 First, the Pennsylvania Department of Transportation (DOT) used the P3 model as a way to fix over 500 structurally deficient bridges located throughout the state, largely in rural areas. In Michigan, the Michigan DOT used the P3 model to design, construct and finance the replacement, operation and maintenance of 15,000 lighting fixtures and the underlying infrastructure throughout Detroit. This innovative use of the project delivery mechanism allowed Michigan DOT to get out of the lighting business, save money, reduce maintenance headaches, and focus on their core business of transportation. Michigan DOT estimates that this project will generate approximately $13 million in savings. So what’s holding back the increased adoption of P3s at the federal, state and local level? 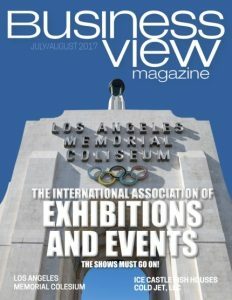 One key issue is the lack of legislation, which limits P3 implementation in more transportation and vertical (e.g., courthouses, prisons) infrastructure projects—and that’s where the non-profit, AIAI – the Association for the Improvement of American Infrastructure has made a difference. AIAI was founded by leading infrastructure developers in November 2012. Today, the organization is the leading pro-P3 organization in America. Our sole focus is to advocate for legislation and policy changes that enable P3s to grow nationally with an emphasis on good policy that’s good for the community. At AIAI, our motto is to educate, advocate and engage. AIAI’s membership includes many of the leading companies building America’s infrastructure. Since its founding, AIAI has grown from six member forms to over 70 corporate member organizations nationally. These members represent a broad spectrum of the professional disciplines in private enterprise and public service—leading construction firms, investors, developers, service firms, planners, and academics. The organization’s competitive advantage is largely built on the fact that it is plugged in at state and local levels. That’s because that’s where most U.S. infrastructure is built and owned. Our members believe that effective and well-planned education can provide civic leaders with the knowledge they need to make informed decisions about the benefits of P3, which include economic development, lifecycle cost savings, risk transfer and accelerated project delivery. AIAI does not advocate for individual projects—instead we focus on policy that enables a strong program that promotes a pipeline of projects. For states that have existing local legislation, we’re focused on providing additional insight about how to adequately conduct the P3 delivery method. At its heart, our mission is to shape a clear, sustainable P3 project pipeline by providing clarity to politicians, procuring authorities, and the general public. To that end, AIAI introduced the AIAI Best Practices Guide, a national educational resource on P3 best practices, in 2016. 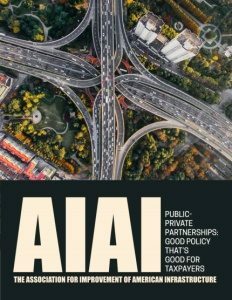 This year, the organization introduced the AIAI Guide to Increasing Private Investment in U.S. Infrastructure that outlines a set of specific policy proposals to help increase private investment in U.S. infrastructure projects. As a follow-up to the investment guide, AIAI will begin working with states and local entities to help them prepare for opportunities that will emerge from those recommendations. We’re also putting together best practices guidelines for procurement as a means to support states, municipalities and agencies as they look to utilize the P3 model for their procurement needs. AIAI’s goal is enable informed decision-making through the education and outreach we provide. The purpose is to encourage state and local entities to have open and continuing conversations both internally and with constituents and taxpayers about when and where a P3 works. There are currently 36 states, the District of Columbia and Puerto Rico which have some form of P3 legislation, though most are limited to transportation. Only 14 of the 38 jurisdictions have P3 legislation in place for vertical infrastructure such as municipal buildings, courthouses, schools and other community-use facilities. There are also 13 states whose P3-enabling procurement authority applies to water works. In this first half of 2017, progress has been recorded through the legislative chambers in: Arkansas; Hawaii; Oklahoma; and Utah. Arkansas expanded its procurement authority to enable alternative project delivery for a broad range of municipal facilities and water projects. Hawaii approved a statewide P3 office to lay the foundation for a program that can address a wide range of project types. Oklahoma was the most recent addition to the P3 landscape, with passage of bills that authorize P3 procurement for state-level assets, as well as at the county or municipal level. Utah took a simplified step by broadly authorizing the use of P3s as an acceptable procurement method for public works. The 2016 legislative season was a big winner for alternative project delivery. Newly enabling statutory authority was passed into law in: Hawaii; Kentucky; Louisiana; Missouri; New Hampshire; New Jersey; and Tennessee. Previous successes on the P3 front have included expanding alternative project delivery and financing authority to the buildings and water sectors in Texas. AIAI also worked closely with state officials to develop and shape quality legislation that protected the statutory authority for Colorado’s P3 program. This include support for regional transportation and facilities in support of the Denver metroplex, including: P3 procurement for the US 36 Express Lanes Project; Regional Transportation District’s FasTracks mass transit program; and Denver’s Union Station redevelopment. There was also a substantive step forward to introduce and implement P3 capabilities for the procurement of public infrastructure in the District of Columbia. For communities across the country, both rural and urban, public infrastructure development and maintenance programs provide a meaningful opportunity to build and restore sustainable, resilient infrastructure for generations to come. AIAI and its members stand ready to help policy makers build the best possible infrastructure for the long-term strength and security of our nation’s economy, its taxpayers and citizens. Chief Executive Officer, ACS Infrastructure, Development, Inc.